Jesus sent me a artical on his father dated OCT 1977, an old newspaper clipping. 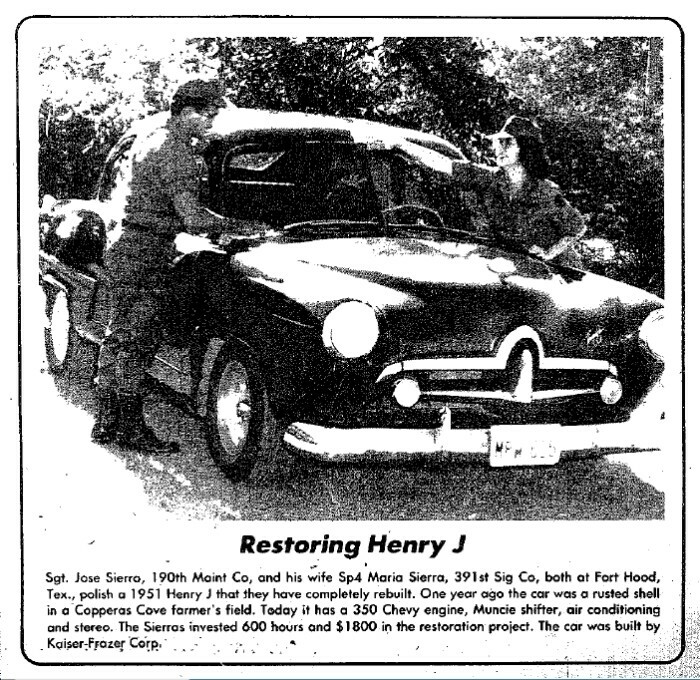 I bought My Henry J in Lampasas TX in 1974, I used to race it at Fort Hood Drag strip. It came out in the Army times News paper in October 1977. I love my Henry J, I will pass it to my son Jesus Henry Sierra when I pass.